This really is a tasty piece of Rock with Progressive originality stamped all the way through it!. You cannot accuse Nth Ascension of rushing into things. Born in the North West of England in 2009, from the collaborative musings of Ten's keyboard impresario Darrel Treece-Birch and Craig Walker (drums, percussion), the band have evolved, matured and blossomed into a Prog Rock outfit that would much prefer to trail-blaze than follow their contemporaries. From those embryonic musings it wasn't long until Alan 'Spud' Taylor (vocals) and Martin Walker (guitars & father of Craig) joined the ranks, adding their already established friendship and writing expertise to the equation. In 2011 they released 'Frequencies Of Day And Night', a demo album that was designed to test the waters... and themselves (and is well worth a listen!). The final piece of the jigsaw arrived in 2012; yet another Walker family member, Gavin (bass & brother of Craig) alleviated Taylor from his bass duties, allowing him to purely focus on vocals alone. 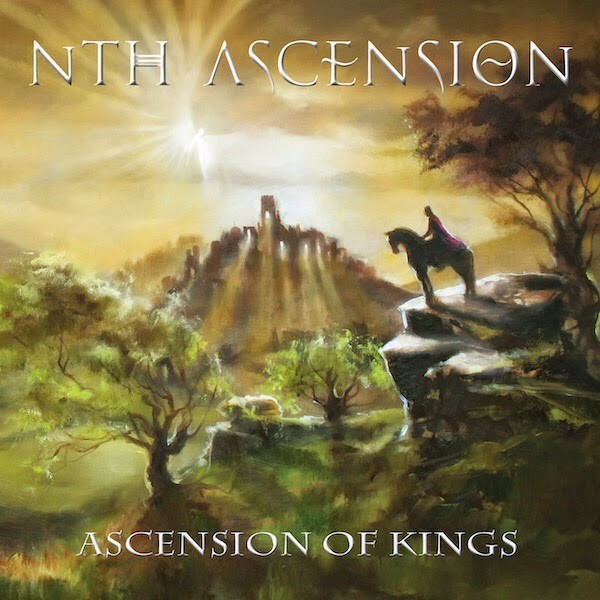 'Ascension Of Kings' is not a concept album, despite what the superb artwork may imply; it does however portray an epic theme of "emancipation over tyranny" throughout the opus. From the opening chords of 'Fourth Kingdom' it's clear that this is something special – a deep, pounding, scything riff enveloped by ethereal keys accompanies Taylor's unique, theatrical, and raconteur vocal delivery (engineered by Ten's Gary Hughes). 'Return Of The King' is one of three instrumental passages that weave together Birch's celestial keys with Martin Walker's multi-toned guitar ingenuity. 'Strange Dreams' picks up the tempo with a driving riff and impassioned vocals symptomatic of the late, great Alex Harvey. 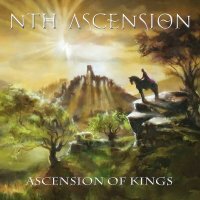 'Overture', 'Realm With A Soul' and 'Seventh Rider' individually construct the 'Clanaan Chronicles' trilogy, a fantasy story penned by Birch back in the 1980s, and now (I have it on good authority) destined to develop on subsequent albums (similar to Saga's 'Chapters') – Parts 1&3 are both exquisite instrumentals, whilst Part 2 displays the melancholic side to Taylor's voice. 'Weight Of The World' is perfectly positioned as the penultimate song; a luscious ballad complete with a transcendent guitar solo that tempers the soul and prepares it for the mammoth, climactic sojourn. 'Vision', originally written in 1991, began life as a relatively short Prog opus; however, the eight minute composition took on a life of its own and developed into the eighteen minute behemoth witnessed here. Quite simply, it's exhilarating; a kaleidoscopic montage which exhibits the top class musicianship of each band member, whilst incorporating a superfluity of styles and rhythmic variations, including an AC/DC style riff!! It's no surprise that these guys are from, (and the album was made) around the Blackpool area, as this really is a tasty piece of Rock with Progressive originality stamped all the way through it! !